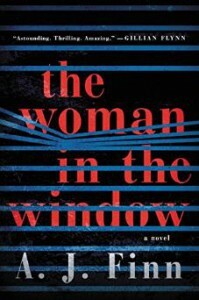 The Woman in the Window. - Liz Loves Books.Com. I read this cover to cover yesterday in a big gulp of a read. Clever, absorbing, noir psychological drama with a fascinating main character and a beautifully constructed plot that holds you enthralled. One to watch next year without a doubt at which point I shall surely be talking more about it.